Your stay in Bucharest could be, starting this fall, much closer to Fun with Little Bucharest, a hostel located in the very heart of Bucharest’s old town (Old Centre), an area full of energy, certainly the liveliest part of the city! Just by going down Little Bucharest hostel’ stairs you’ll stumble upon hundreds of bars, pubs, restaurants, clubs, shops, art galleries, theatres. Little Bucharest provides is run by travel conscious staff. 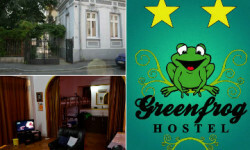 The owners too are well-travelled people, with a long history of hostel based housing experience. While they are not travelling at the moment, they still enjoy the environment of a hostel and meeting new people here, in Romania. This passion drove them to founding a network of hostels, two in Bucharest (Peaches, and Little Bucharest), two at the seaside in Vama Veche, (Pura Vida Beach Hostel and Pura Vida Breeze Hostel), and one in the old mountain region of Bucovina, Dor de Bucovina. All these hostels form the network of Pura Vida Hostels. 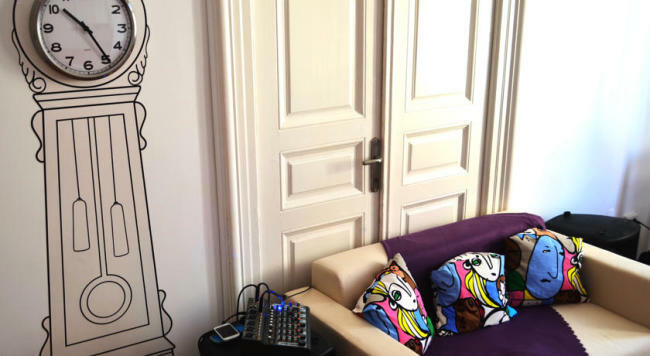 We were curious about this new Bucharest downtown hostel so got an interview for you with the hostel’s manager, Iulia Iuga. Hope you’ll find it useful and inspiring! What is that Little Bucharest brings new for the tourists coming to Bucharest? Besides this amazing location which we’re so lucky to have, we are proud to be a backpackers’ hostel run by backpackers. All staff members are travel conscious and are able to relate to the needs and interests of our guests. How would you describe the building and the space where the hostels lies? Little Bucharest is located in a beautiful, historical building, built in neoclassical style in 1902. It is situated right on the corner of the two main streets of the pedestrian old town, Lipscani and Smardan, in the center of all the action from the downtown area. Who made the hostel’s design? What were the ideas that inspired you in creating the atmosphere? For the design of the place, both the owners and the staff contributed with ideas. 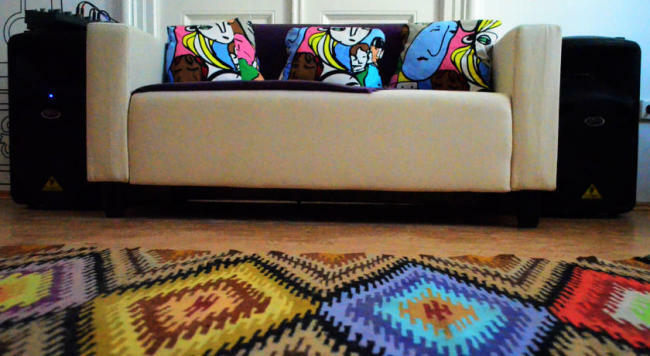 We try to offer a colorful, cozy and relaxed, but at the same time classy atmosphere. What is the target of your hostel? Travelers are our main target. Explorers of the world, be they of any age, traveling alone or in any group configuration, we offer convenient options for everybody, private and shared rooms. What services are included in the price the tourists pay when booking a bed/room? Our guests are well taken care of during their stay in the hostel, getting advice and valuable local information from our staff while having a nice cup of coffee or tea that we offer them and which they can prepare themselves in our fully equipped kitchen. They also have access to free internet, lockers, linen and towels are included in the price as well. What other services are available at the hostel? We are preparing ourselves for the busy times to come with events for the guests, such as dinners, pub crawls, tours around town, movie nights and many more. We will soon have a little soft drink/beer bar for people to be able to get a refreshment any time without having to leave the hostel. From your experience by far, what are the interests of the foreign tourists in Bucharest? What are they most frequently asked questions? What are the places they wish to visit? Most tourists arriving in Bucharest have very little time to discover a city which they generally do not expect to offer so much. We usually recommend them to take a walking tour in order to explore the old town and get all the basic information fast. Apart from that, most of them have heard of and want to see the People’s Palace, the Cismigiu Garden, the Herastrau area. The night life is a big attraction as well and with Little Bucharest located in the middle of all the action, it’s the perfect spot for them to explore it. 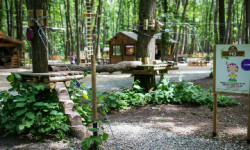 The hostel is part of a group of several hostels in Romania. What brought you the extended experience in this field? Being part of a chain is of course beneficial for us in terms of connections, understanding the dynamic of the market and giving us a better idea about the strategy to have when starting up a new place. 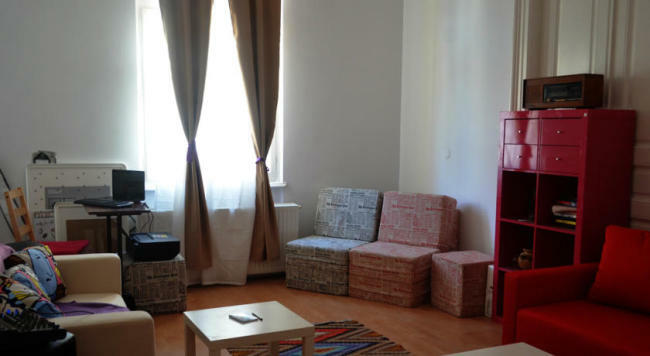 With Little Bucharest being the last opened hostel, did it benefit from the experience you had with the other units? What were the “improvements”? Little Bucharest has strong links with the other hostels forming the chain and it has received a big support from all the staff of the company in order to have the smoothest start possible. Hostels United also includes a tour operator, Young Tours, which during the summer dealt mostly with connecting Bucharest to Vama Veche. During the cold season, we will probably offer trips to the mountain side, most likely to the Brasov area, so our guests will have a very easy and affordable option for visiting this area of high interest. What is, out of your experience, the busiest period of the year in Bucharest? The busiest time is surely the summer period. June, but especially July and August are the months when most people have Bucharest on their route. What is your special message for the tourists about your hostel and about Bucharest? It is OK to have big expectations when booking with Little Bucharest because you will be staying in the heart of the city, in a lively yet safe area, all the attractions of the city will be easily accessible to you and you will be welcomed by a staff who’s ready to go out of their way to help you and make your experience unforgettable. We are all travelers ourselves and we are here to share the travel experience with our guests.